As I noted in my APB the other day (“The Freedom to be Unhealthy”), Paul Ryan justifies the current Trumpcare bill as promoting freedom—the right not to have to buy health insurance and thus be “free” to be unhealthy. It’s a revolting position to take, not to mention inhumane and short-sighted, reminiscent of Marie Antoinette’s infamous advice to the starving French masses: “let them eat cake.” A large, unhealthy population—52 million by 2026, including millions of children—guarantees a less educated, skilled, and healthy workforce, more desperation and crime, and more impoverished families and communities needing all kinds of social-welfare help. Of particular urgency is that Trumpcare will tear apart the largely successful health care net for children—Medicaid, the Children’s Health Insurance Program (CHIP), and the Affordable Care Act. According to the Children’s Defense Fund, 94 percent of children have access to health care because of these three programs. The threat now, as two writers (one a physician) in Pennsylvania put it, is that “changes such as federal funding caps or a block grant may pit kids against the disabled, seniors or even their parents. We cannot afford to go backward and the state doesn’t have the resources to fill the gap” (www.mcall.com/opinion/yourview/mc-affordable-care-act-children-pennsylvania-yv-0129-20170128-story.html). The Congressional Budget Office report predicts that if, as Trumpcare proposes, federal funding for Planned Parenthood ends for one year, thousands of additional births to parents on Medicaid will result. That will put a huge new strain on Medicaid’s budget, which already is under attack by conservatives. The planned cut will also mean loss of women’s access to critical prenatal and preventive health services that Planned Parenthood provides. Less often considered is that Trumpcare tramples on international law. Enacting Trumpcare will put the United States in violation of the Universal Declaration of Human Rights and the Convention on the Rights of the Child (CRC). Under Trumpcare, the US would also be in violation of several articles of the 1990 Convention on the Rights of the Child. True, the US has not ratified the CRC; in fact it is the only country in the world that has not ratified it (thanks to Republicans in the Senate who traditionally reject any notion that US law or practice should be subordinate to what the rest of the world accepts—see www.washingtonpost.com/blogs/post-partisan/wp/2014/11/21/why-wont-the-u-s-ratify-the-u-n-s-child-rights-treaty/). But the US is a signatory to the CRC, thanks to Bill Clinton in 1995, and thus a globally responsible president would at least heed the convention’s most basic requirements, which are surely in the national interest. Article 3: States Parties shall ensure that the institutions, services and facilities responsible for the care or protection of children shall conform with the standards established by competent authorities, particularly in the areas of safety, health, in the number and suitability of their staff, as well as competent supervision. 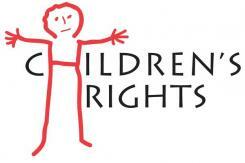 States Parties recognize that every child has the inherent right to life. (b) To ensure the provision of necessary medical assistance and health care to all children with emphasis on the development of primary health care. Of course the president and his minions care not a whit about international law, any more than they show concern about human rights. Our children, and all children, deserve better. Trumpcare tries to impact those who are not his constituents i.e. poor, disabled, people of color. As he and Ryan are finding out this is very difficult to do. Medicaid provides payment for nursing home care to their constituents after people spend down all of their savings. Red State Governors know the cost shift from the Feds to the States will be an economic drain teetering on a local fiscal collapse. The “freedom” to choose an inadequate insurance policy will once again push “medical bankruptcy” to be the leading cause for bankruptcy in the USA. It would be college loans but college loans are exempt from bankruptcy relief. Trump Budget: Yes this a gutting of the American nation as we have known it and general transfer of benefits to the rich and the âdefenseâ industries. It is particularly hard on the arts and sciences and programs for the poor and cities. Healthcare should be a slam dunk for progressives. As Nate Cohn demonstrated, a goodly percentage of Trump’s core base would lose big time if Ryan’s approach was adopted. https://www.nytimes.com/2017/03/10/upshot/why-trump-supporters-have-the-most-to-lose-with-the-gop-repeal-bill.html?_r=0 , I think the bar should be set far higher than the question whether the Dems can defeat Trump on ACA. It needs to be a question of political competence, values, and understanding of US government.